Shove It is an extreme version of old game 'Shove Halfpenny'. You have to 'shove' a counter towards a target avoiding or interacting with obstacles that lie in your path. Multiple score combos, star ratings and achievements keep you addicted. 'Pick up' the counter by placing your finger over it. 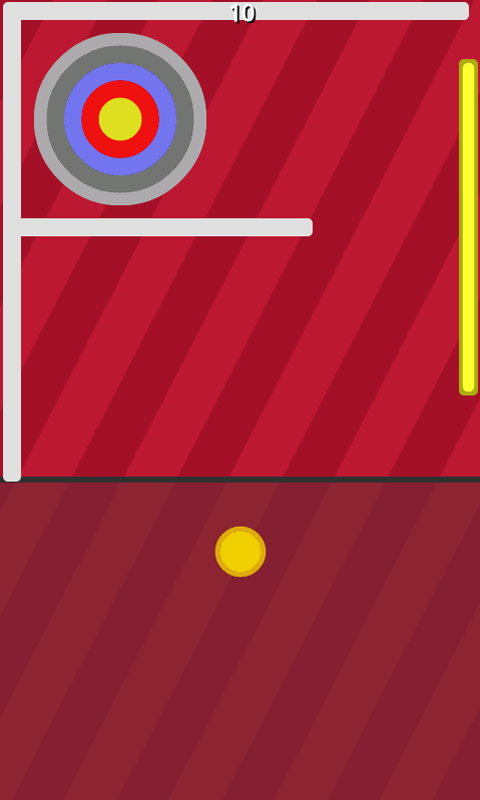 'Shove' the counter towards the target by moving your finger over the throw line at the bottom of the screen. Once the counter crosses the line it is released and will follow a path determined by the direction and speed at which your finger was moving. Get the counter within the target to progress to the next level. The closer the counter is to the target the greater the score. Stars are awarded based on how close you have come to the center of the target. 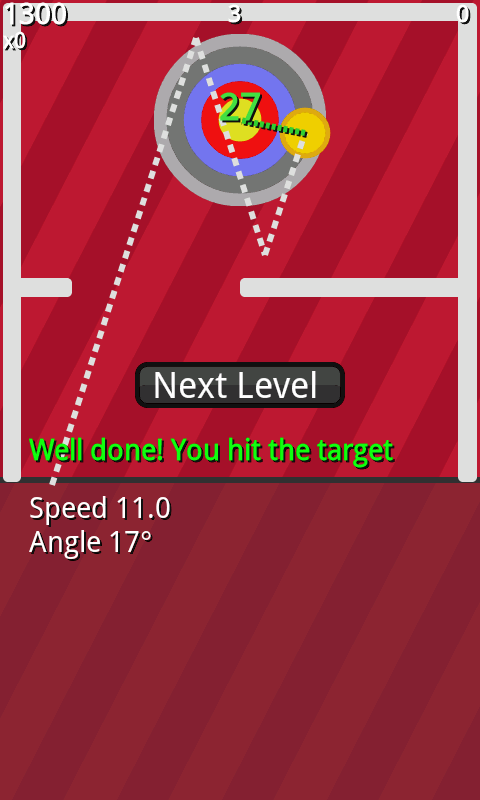 Each throw that recieves a star adds to a combo counter increasing the points you score for the next level. Failing to earn a star (or failing to hit the target) resets this counter. An extra life is awarded every 3000 points. Once a level has been 'unlocked' by reaching it in the main game, it is available to practice on from the practice menu. Here you can work to improve your star rating, continue to earn achievements and take your new skills back to the main game. There are a number of achievements to complete outside the normal rules of the game. More lives are awarded for the main game as you accumulate more achievements (up to 3 extra) in the Pro version. A table is made up of one or more of the following obstacles set up between you and the target. I believe there is an option to uninstall in Settings > Applications > Manage Applications > Shove It. If that doesn't work, try restarting the phone and trying again.